FEW of you would believe it, but at school, I was a Goodie Two Shoes. 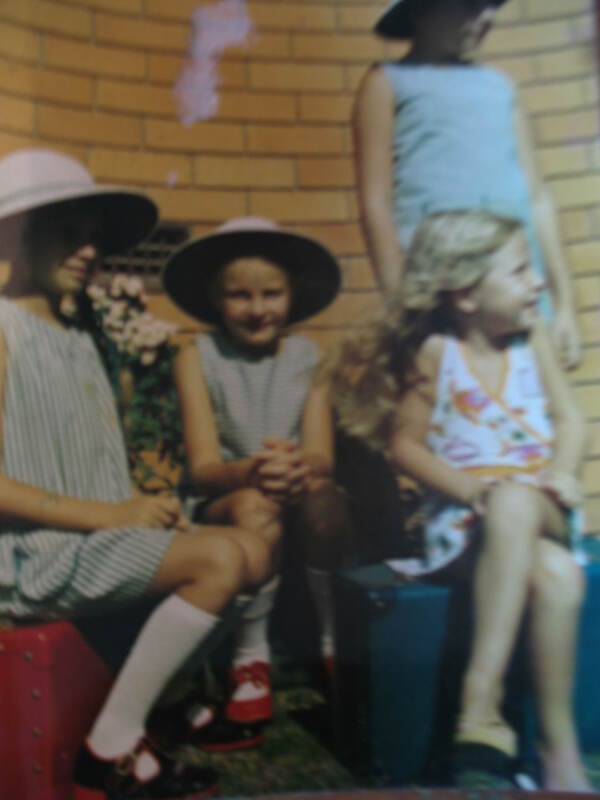 I received great marks (except in maths which we all know is a waste of time), was part of the popular girl group they called “the brains”, and pretty much sailed through unscathed. Well, that was high school. And that was quite a feat given I went to one of the roughest schools in Australia. Even our school motto, translated from its Latin origin, said it all: The Promise of a Better Age. Reading between the lines I took that to mean as soon as we left that dump, life would get better. And it did. Which is why I don’t understand why people say things like “your school years are the best of your life”. Or more so, why they feel the need to get together every quarter of a century to commemorate those tawdry times of pimples and puberty. And it seems neither do most of The Class of 1987. Out of some 200 students, 12 have signalled they will be going tonight. In fact, it’s been downgraded from a reunion to a “get together” back in the old town which is as cold as Antarctica mid winter, and as hot as hell, but nowhere near as interesting, in summer. Our school, let me reiterate, was a dump. It was more like a juvenile detention centre than an educational institution where every week, the entire 1500 inmates had to be evacuated due to bomb scares from former pupils who hated the joint as well. It wasn’t the bomb scares that worried me, it was more when they occurred. You’d be spending Friday afternoon in a double economics class wishing against all hope that Barry the Bomber would make his weekly call. And this was the day before button phones, so Barry would have had quite a sore dialling finger, hence the fact he only rang once a week. Suffice to say, should anyone ever call up with a bomb threat wherever I am in the world, I have the evacuation down to a fine art. So, I guess I did learn something at high school. Primary school was another matter altogether. I went to one of the smallest primary schools in Australia, out in a one pub/one horse town in the Queensland countryside. To give you an example of how small, we had only two teachers, and most of the grades were combined, so at one point in time, I was in the same classroom as all of my 3 older sisters. I did, however, receive a sterling education, as there was no where to hide in a school that small. What I also received was an education on bullying. But this was 1970s country Australia, so no one had any idea what bullying was back then. Except I knew it was wrong. There are two key figures who featured largely in my life on that score. The first was my teacher, who looked like the greyhound racing dogs he owned and perpetually sniffed like a cocaine user. For the sake of this story, let’s call him Cokehead Greyhound. Cokehead Greyhound was a mean man who picked on the smaller kids such as myself, and had a raging war with my mother over which dictionary I should be using. I was the middle man in this battle, so would arrive at school every day with a different dictionary, which old Cokehead would hold up to the rest of the class, sneer and announce: “Look what the Global Goddess has bought in today everyone”, simultaneously making the rest of the class laugh, and humiliating me. This went on for a week until I finally begged mum to buy the specific dictionary he required. I was so happy the day I turned up to school with the dictionary, as I thought the bullying would stop. He took one look at the dictionary, declared we weren’t using it any more, and found something else about me to target. My other nemesis was a large, dark haired, freckly girl who modelled herself on the 1970s Australian Prison Drama Prisoner. For the sake of this tale, let’s call her Queen Bea. To cut many long humiliating moments short, Bea thought it would be a hoot to pull my skirt down in front of the entire class to reveal my comfy, colourful undies. I can still hear her evil cackle that day. Proving that God has a sense of humour, Bea went on to work in child care, marry a model, and now also looks like a model, or so I’m told. As for me, I still like comfy, colourful undies, which I will be wearing tonight when I think back on those school days, glass of red wine in hand, delighted that they are behind me. The powerful documentary Bully, about the power and destruction of bullying, will be released in Australian cinemas on August 23. Love that you were the rebel who wouldn’t wear a hat (unlike your sisters). 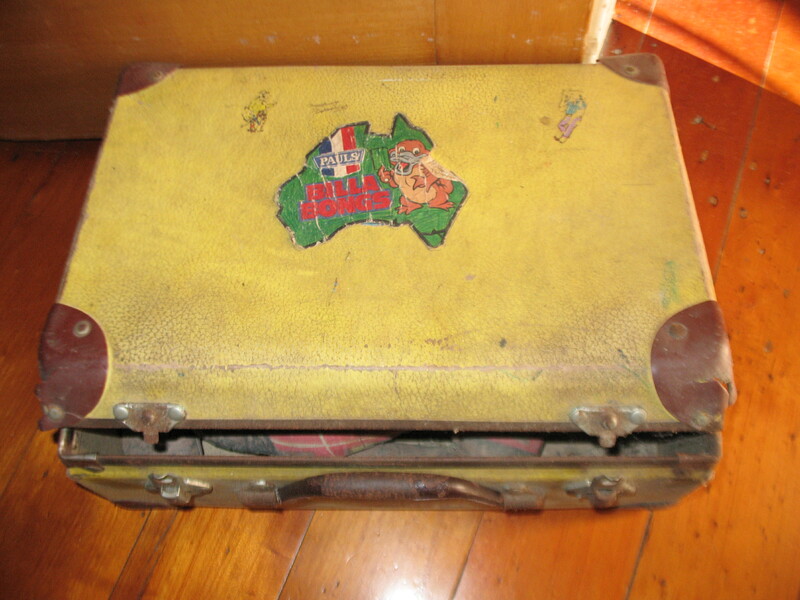 And that you still have your first school bag! Another good one, Goddess, with a message for all at the end.